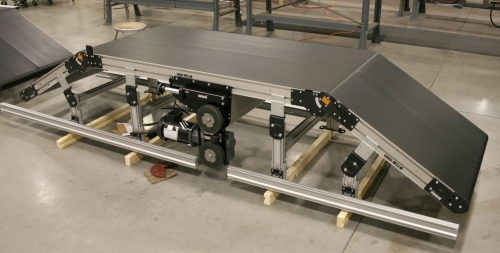 Aluminium Extrusions System created for engineers by engineers. 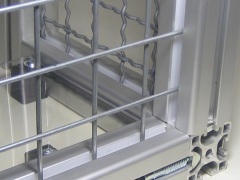 Valuframe is the t-slotted aluminium profile system designed for economical frame building. It's purpose is to replace welded steel fabrications and the more established, more expensive aluminium extrusion systems and aluminium profile systems available in the UK. 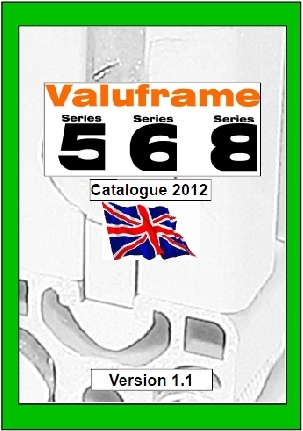 Our range of t-slot aluminium extrusions is called Valuframe to emphasise the focus on value for money. 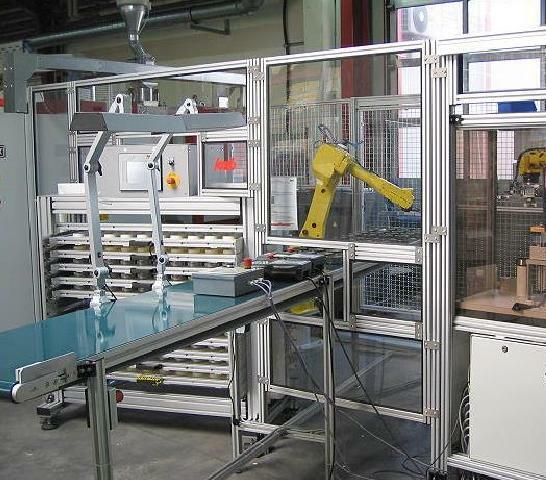 It's designed to be an aluminium extrusion system that's a prudent choice for cost conscious engineers and machine builders. 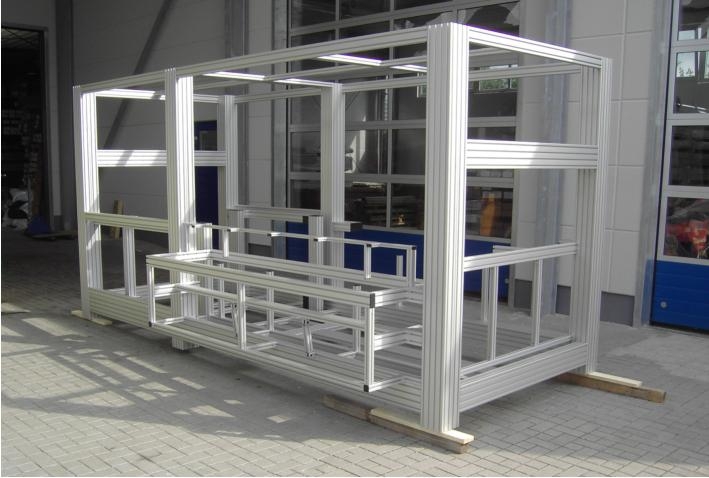 Since introduction to the UK aluminium profile systems market Valuframe has successfully helped engineers all over the UK and Europe design and build economical aluminium frameworks. We retain our valued customers because we work harder to keep costs down and our service and availability levels high. 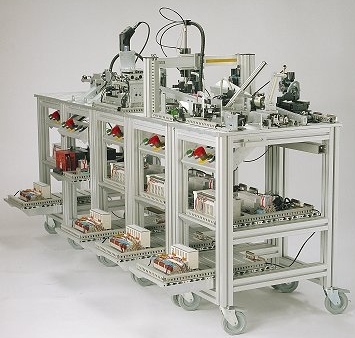 The aluminium profiles and connecting elements in the Valuframe system will seamlessly combine with many of the the more established and expensive aluminium extrusion based machine building systems available. 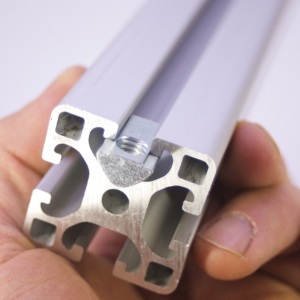 Our aluminium profile system has the same manufacturing tolerances, the same quality finish and the same options in connections and fittings as many of these more expensive aluminium extrusion framework systems. 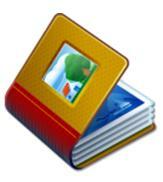 There are no minimum quantities to buy with Valuframe. We will not make you buy 100 slot nuts when you need only 4. 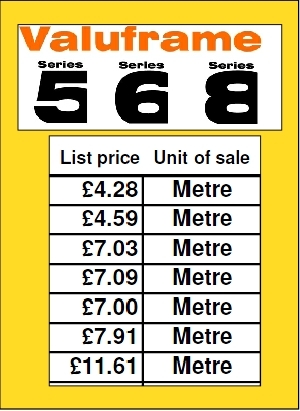 The unit of sale for the vast majority of our parts is 1. 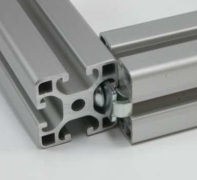 Changing to Valuframe is easy, talk to us about compatibility if you need to change from another aluminium extrusion system to Valuframe, we will give you a straight answer. 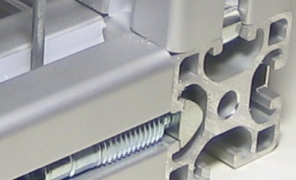 Key features of the Valuframe t-slot aluminium profile system. 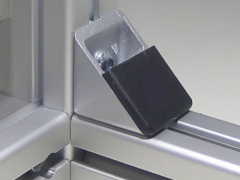 Are generally based on 20mm core dimensions, with a 5mm slot that allows a maximum slot nut thread of M5, these aluminium extrusions are used for small, light applications such as sensor supports, small doors, frames and enclosures. 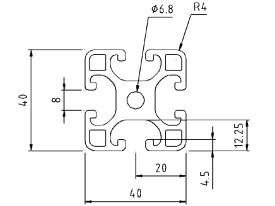 Are generally based on 30mm core dimensions, with a 6mm slot that allows a maximum slot nut thread of M6, these profiles are used for larger applications such as furniture, table top frames and enclosures. 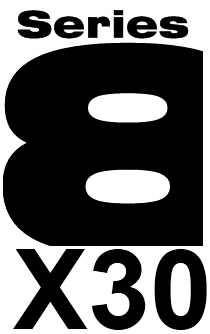 Series 8X30 profiles are versatile profiles offering the economy of 30mm dimensions with the flexibility of an 8mm slot for a wide range of connecting elements. 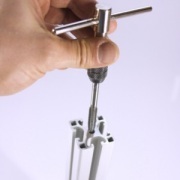 Used for a wide range of applications from frame building to jigs and fixtures. 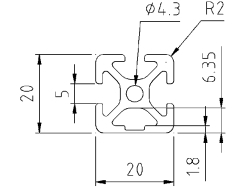 Are the most popular, based on 40mm core dimensions, with an 8mm slot that allows a maximum slot nut thread of M8, these profiles are used for a vast range of applications from machine frame building to guarding, from special enclosures to vehicle structures. 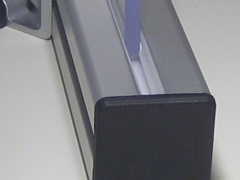 What can I make with an aluminium extrusion system? 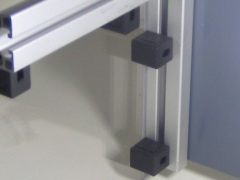 Valuframe aluminium profile systems and t-slot aluminium extrusions have a huge array of uses, not all industrial. In fact it's versatility is limited only by your imagination, but if you need a little help, then visit our photo gallery for inspiration. Why would I use an aluminium profile system? As a raw material, aluminium extrusions are still more expensive than steel, so why do so many people move over to using aluminium profiles? 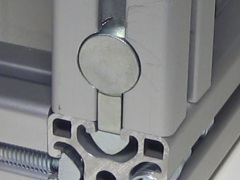 No welded joints; so you can move the aluminium extrusions if needed. 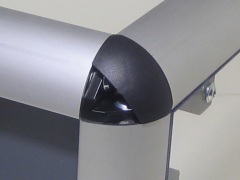 No painting or priming; the aluminium is finished with a clean, attractive and modern looking bright anodised finish. Assembly is an unskilled job; with none of the health and safety issues associated with welding, dressing, painting and other engineering operations. Speed of assembly; panels and frames can be put together in next to no time. 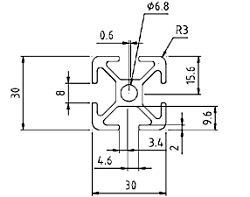 Adaptability; those slot nuts and many other connecting elements are small but versatile and will help make your frame building life easier. 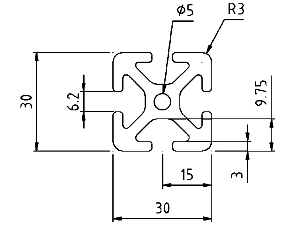 Recyclable; you can always use the profiles somewhere else if your assembly is temporary.